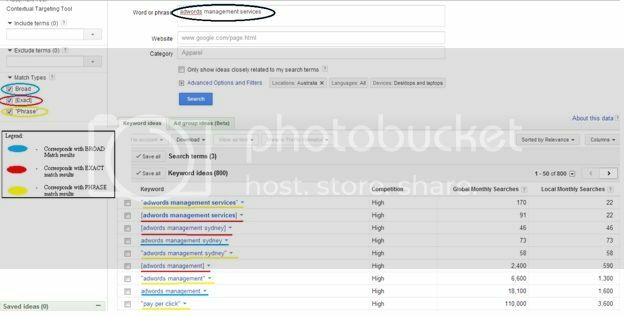 Becoming a successful adwords manager is easy especially if you know how to use Google Adwords Keyword tool down to its nitty-gritty. As an adwords account manager you have the capacity to choose, have control over and specify the search term to which your ads are displayed. Importantly this is done with the help of adwords keyword tool, although you may have complete control and be able to specify the search terms for your ads, the big question remains ‘how to pick the right keywords?’ To help you on your way to become a successful adwords manager, here is an explanation and how to article about adwords Match Types. Let’s say that you are putting up an adwords management services and you feel that you want keywords related to ‘adwords management services.’ There are three Adwords match types which are: Broad, Exact and Phrase. These are ways to search for Keyword Ideas that matches your search above. 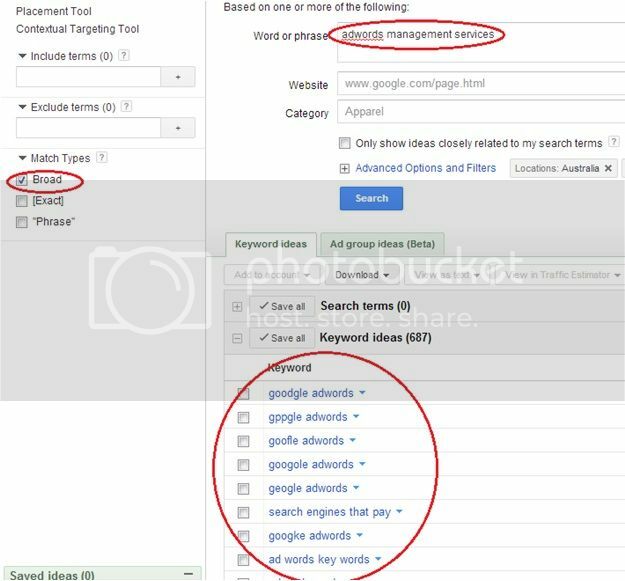 You can easily manipulate the google keyword tool by simply clicking on your preferred match type which is located on the middle left side of the tool. Broad match type is the default search in google adwords tool and it gives you keyword ideas that have a far reaching audience base. It also makes use of your word or phrase in different order. 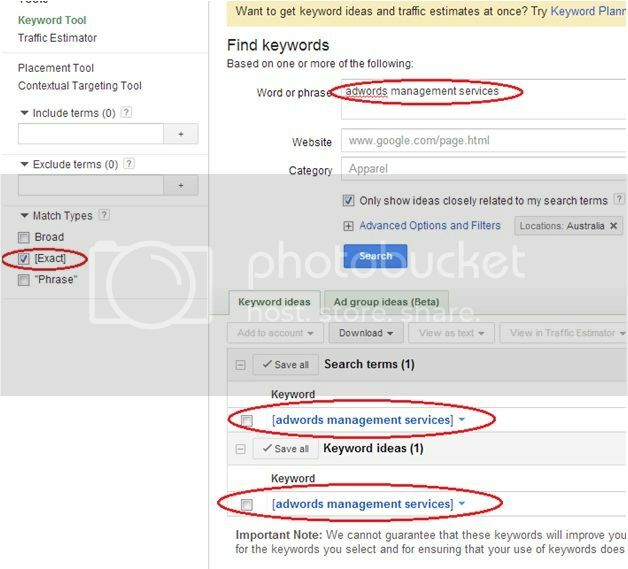 Like, if you are searching for keyword ideas related with adwords management services, broad match types can give you any keyword that is related to your search, even if it does not contain any of the search terms you have keyed in. Just take a look at the screenshot below. The pitfall with using Broad search type is that there is a bigger possibility that you are also given irrelevant keyword ideas, just see the screenshot below. Further, when it comes to adwords keywords, your ad could show up in queries that are unconnected to your site which can lead unnecessary pay per click. When using the phrase match type in googleadwords keyword tool, it gives you a more targeted result than the Broad search type with the specific phrase included in the results. Thus, it gives you a more controlled keyword idea results and better versatility than the broad match one. 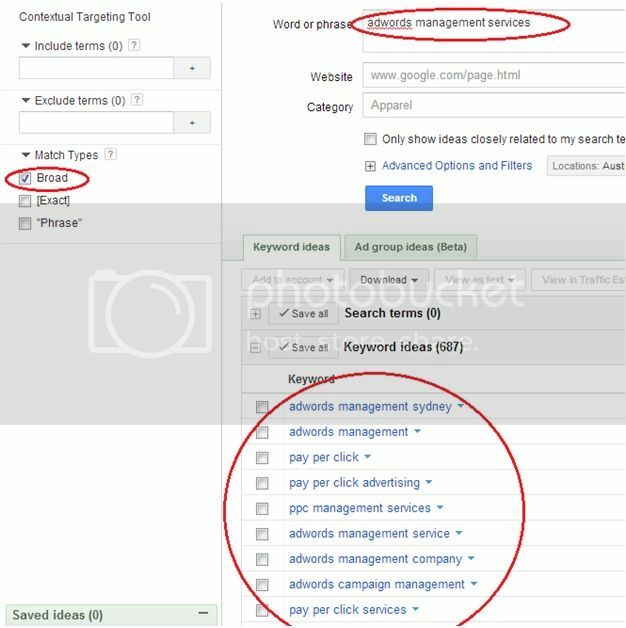 You can see from the screenshot below that all results shown have the ‘adwords management’ word in each keyword idea. The keyword ideas shown may contain text before, in between or after the words in the keyword, but it always maintains the order in which you have typed. Like, adwords is always seen before management even if there are texts in between them. 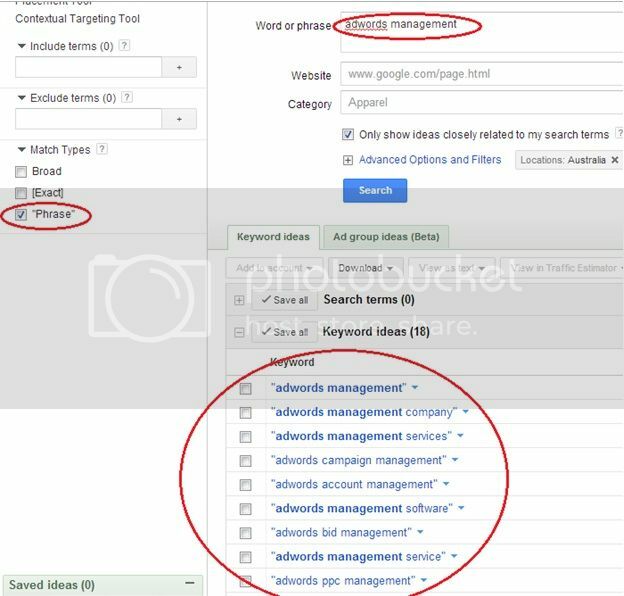 As an adwords account manager, this is an important tool to use because your ads can show up for searches that contain the phrase adwords management and some other texts. Exact matches give you a bullseye target. In terms of adwords advertisement your ad will only be shown for the exact term and maybe a few misspellings and singular or plural form of the words. Knowing all these will help you as an adwords account manager to choose the type of search that would best suit your needs. If you are launching a product that would need much publicity then a broad search is best. However, if you have a limited budget and would only want to advertise with a high guarantee on returns then an Exact search is for you. Lastly, if your product has so many variations, the phrase match would do you well for its versatility. Give us a ring at 1300-76-00-84 and ask to speak directly to Jayson Rodda, today.